Ayurveda tells us that we begin to accumulate heat in the body just prior to the summer, so we want to stay ahead of the game by paying attention to the qualities of foods that can help us maintain balance. Beets are nourishing for the liver. 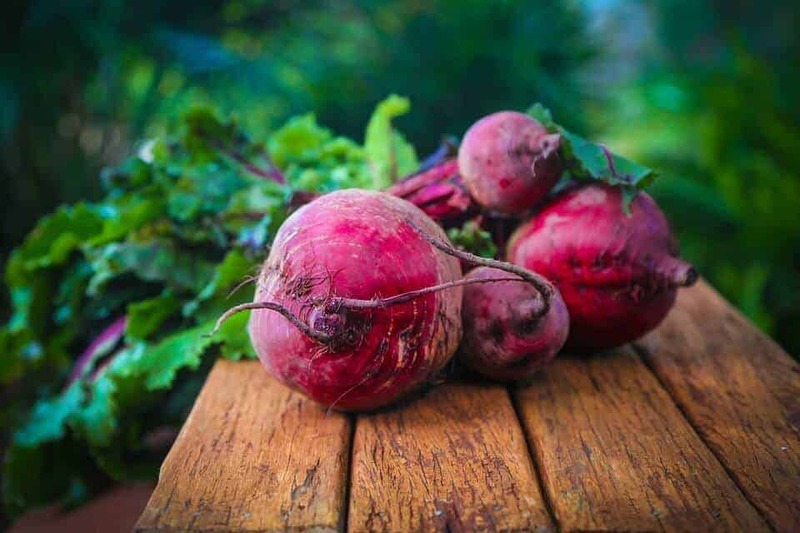 Cooked beets cool and cleanse the blood, strengthen the eyesight, and improve anemia, therefore increasing stamina by bringing more oxygen to the blood cells. Kale is cooling as well. The fiber in kale prompts healthy elimination, while the bitter taste of kale and beets stimulate the flow of bile. This helps keep the gallbladder and liver from becoming congested. As the bile flows, it flushes toxins from the body and encourages healthy lymphatic flow, which detoxifies the body and fortifies immunity. This recipe is proof that eating Ayurvedically does not require time-consuming cooking methods or obscure ingredients. The ease with which this salad can be prepared is very supportive to our modern lifestyles. 1. Toss all ingredients together, and voilà, you’re done! You can’t ‘beet’ this for a fast, fresh salad that you can enjoy at home or take on a picnic.